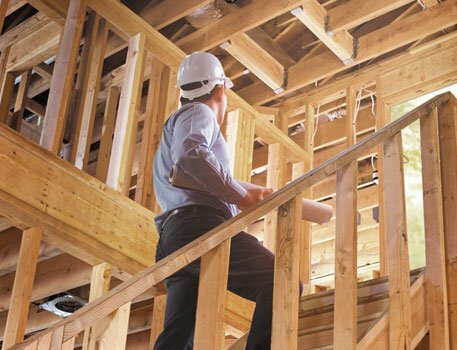 The steps involved in any new home build are designed to keep all parties informed and accountable. 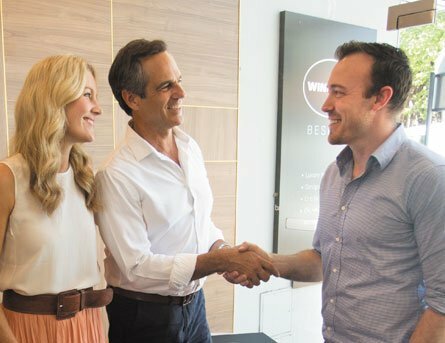 At Wincrest Bespoke, our approach to home building ensures open and honest communication, sound advice, and transparency. It helps the build run to time and minimises your exposure to financial risks. It ensures the design works with the land and to your needs. It ensures a home without compromise. The secret to any great relationship is a sound understanding of each other. Getting to know you and your family is first and foremost and our site inspection will help us gain a better understanding of the vision you have for your home. Our professional team will assess your land’s size, shape, slope and surrounds to best determine the type of house you can build. 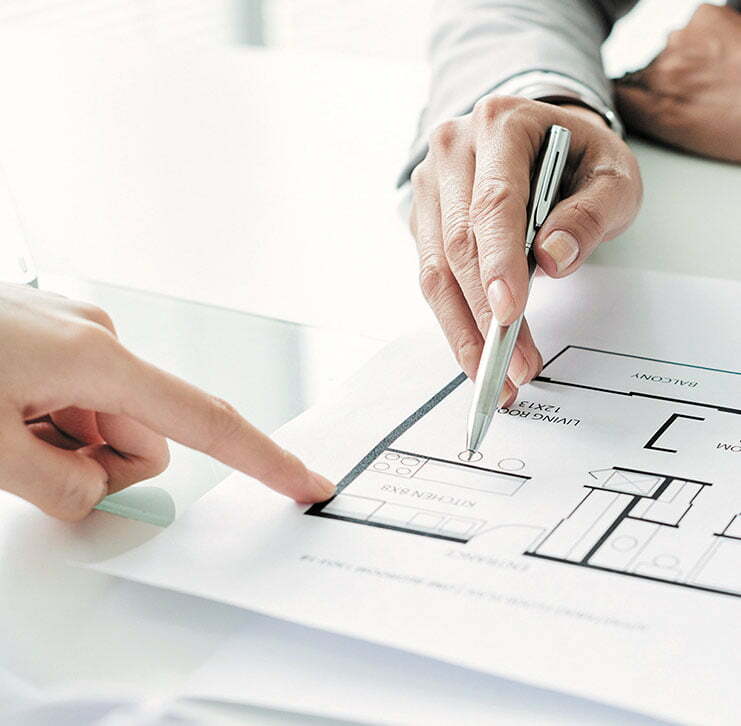 If you are using your own architect, we can review the current plans to establish suitability – and buildability – looking at all relevant possibilities for your site and budget. We find this is a great way to build confidence and trust, the foundations of any great partnership. Now that we have a clear understanding of your family, your land and the vision you have for your home, it’s time to start designing! You can choose to use your own architect and we will work with them to interpret the vision you have for your home down to the finest detail. Alternatively, our specialist team of expert architects and architectural designers can work with you to create your perfect home. Next, Wincrest Bespoke will prepare your tender. 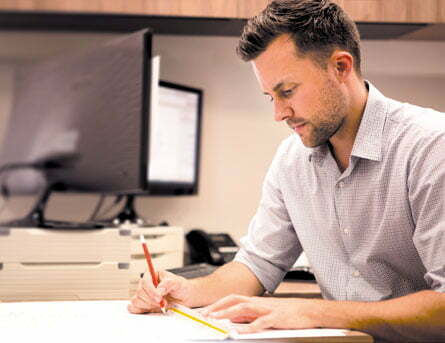 In doing this, our estimators will speak to the experts, including certifiers and engineers, to make sure they have the most up-to-date and accurate information about your site. They then arrange quotes and negotiate prices to ensure your home is most cost-effective without compromising on quality and design. Once complete, we personally present your tender and answer any questions you have. It is time to meet the Construction Manager and design team to start your preliminary draft plans or review your current plans to establish suitability and buildability. Your preliminary draft plans will include: Site Plan, Floor Plans and Elevations. 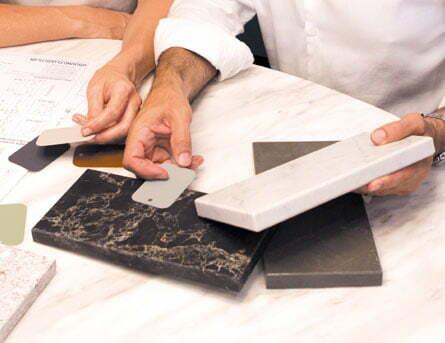 Once received, you may wish to make alterations to ensure the plans align with your ideas for the home. Once you are happy with them, you’ll complete a final review before signing them off. You can feel confident that our entire team is working together with the same vision in mind. 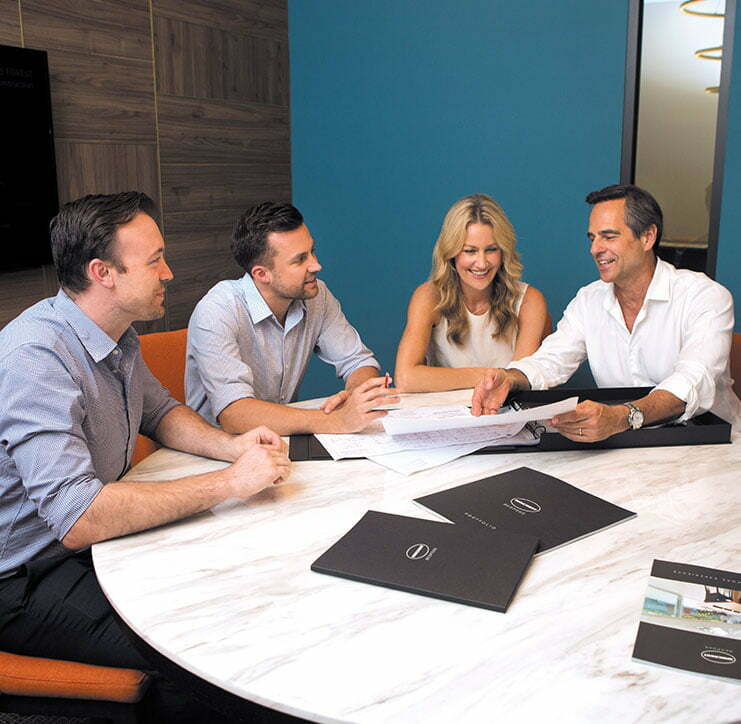 We will guide you through the process to ensure your luxury home is built on time, and on budget. Outlining our process up-front means we can both ensure deadlines are met, avoiding unnecessary delays and additional costs. To help truly personalise your new home, our interior decorator will help you select external and internal colours, finishes and products. Our premium range of fixtures and features are hand-picked to reflect the demands of modern living. You may even prefer to appoint your own designer to help with this. The choice is yours. Your final plans are updated to include your selection of finishes and are submitted to the relevant authorities for approval. You can choose a DA or, if applicable, a Complying Development Certificate (CDC). Your Building Agreement / Contract will then be prepared and issued to you for review and signing. It is time to start building your new home! Before we commence construction, we will allocate a Senior Building Supervisor and a member of the construction team who will be responsible for keeping you updated on the progress of your home. Throughout the process, an independent quality control professional will conduct inspections to ensure your home is built to exacting standards.